I would like to learn more about this 2010 Hyundai Accent GLS. Please contact me as soon as possible! 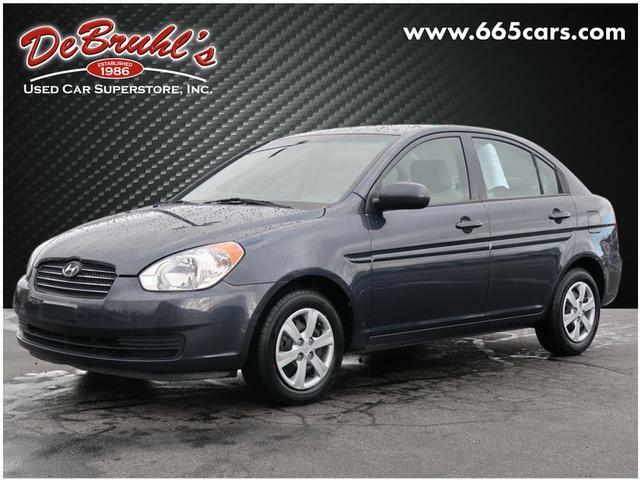 * GREAT DEAL AT $7,950 * * 2010 ** Hyundai * * Accent * * GLS * When youre ready to upgrade your ride, opt for this 2010 Hyundai Accent GLS, which includes features such as AM/FM radio and CD player, anti-lock brakes, dual airbags, and side air bag system. Complete with a dazzling gray exterior and a gray interior, this vehicle is in high demand. Drive away with an impeccable 4-star crash test rating and prepare yourself for any situation. Maximize your trunk space with the versatility of a folding rear seat. Call and schedule your test drive today! DeBruhls Used Car Superstore is the largest independent auto dealer in WNC! We offer a full range of financing with our guarantee credit approval, everyone is approved here.